A comprehensive view of overlooked organs. The featured organs are the liver, kidneys and adrenal glands, gallbladder, pancreas, duodenum, and spleen. The gallbladder can be removed to reveal the cystic duct with spiral valve. The pancreas, duodenum, and gallbladder are all dissected to show the pancreatic, cystic, and bile ducts. The spleen is detailed and pulled away from the left kidney to reveal the blood vessels that supply it. The hepatic portal vein and pancreatic arteries are also included. 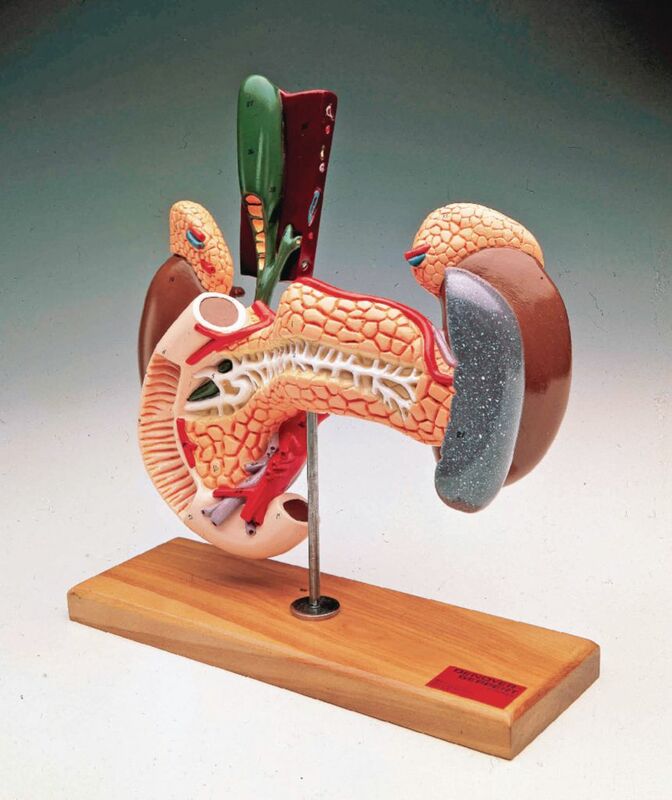 The two-piece model is mounted on a wooden base and can be removed for up-close study.